We look forward to hosting you in just a few months aboard the fabulous MSC Divina! If you haven’t secured your cabin, get it done NOW…Joe, Rick, Phil, Viv and Sav look forward to sailing with you! Book your cabin today for the most anticipated Music Cruise Event of 2016! Cabins are filling up quickly and we don’t want you to miss what we have in store for you! For all of our booked guests (and those on the fence), we have several important and exciting updates and announcements. 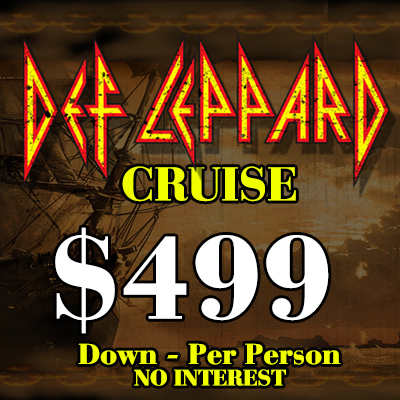 As always, be sure to check out our website at www.DefLeppardCruise.com to stay updated on all the new information. 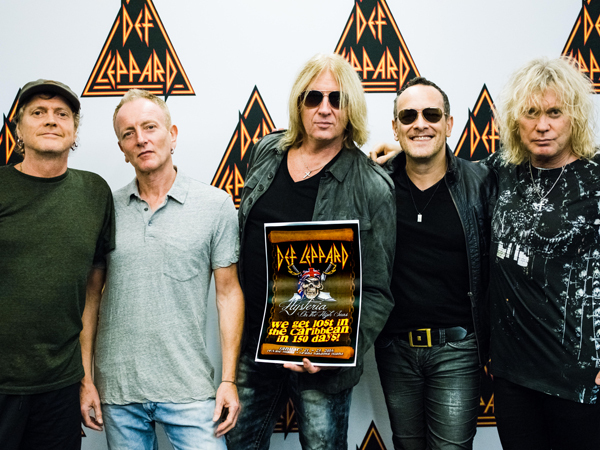 We keep getting the same question from fans…Will I get a photo with Def Leppard? The answer is a resounding “YES”! In fact, the guys have something really cool planned for our guests…Complimentary “On Tour" photos with the band! 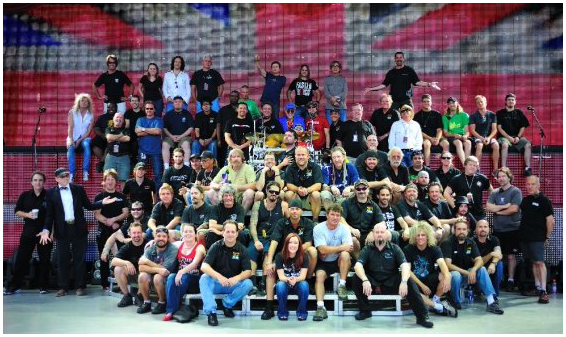 You will be assigned to a group for your Def Leppard "On Tour" Group Photo. Each photo will be associated with a Def Leppard Album, from Hysteria to Pyromania and more. The photos will include special "On Tour" and album graphics surround, making them a unique and personal gift. This will be a one-of-a-kind keepsake that you will enjoy and share with friends for years to come. 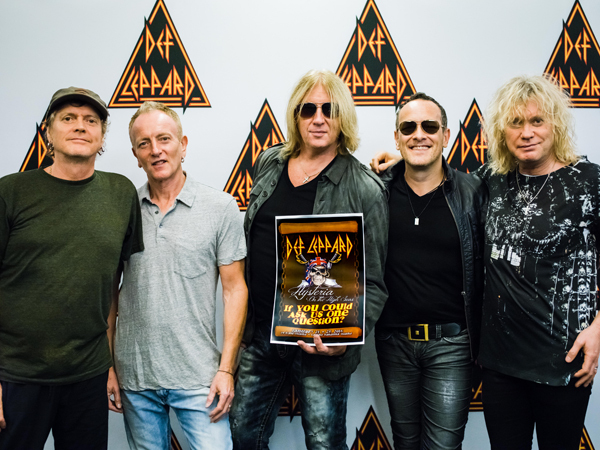 **NOT TO WORRY V.I.Ps…you will have both the On Tour photo as well as the Meet and Greet photo with Def Leppard! Art has been a passion of Rick’s since he was a young boy. 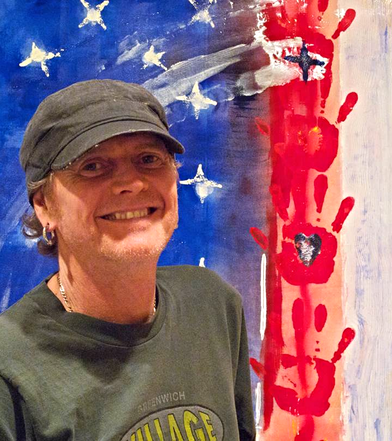 Next January, Def Leppard's Rick Allen brings his visual expression to life with paint, light and canvas aboard the Def Leppard Cruise. Do you have a burning question to ask the band or an individual query to either Joe, Rick, Phil, Viv or Sav? Now is your chance! Simply go to the link below and ask your question beginning now until December 4, 2015. Each Friday, beginning October 2nd, ONE winner will be selected weekly until 10 total winners are selected. The winners will be announced on the Hysteria on the High Seas Facebook page. Contest winners will be able to ask their question in person at the bands Storytellers/ Q&A and have that question answered LIVE during that Storytellers/ Q & A session. Each winner will receive a complimentary souvenir Hysteria on the High Seas Tee, autographed by the band. PLEASE NOTE, YOU MUST BE BOOKED ON THE CRUISE TO PARTICIPATE. Enter today, let’s have some fun! 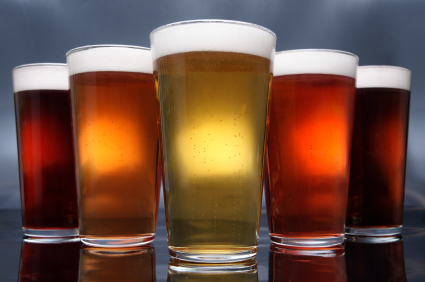 We are pleased to announce that the guys are working on a new and incredibly limited Craft Beer that will be unveiled ONLY aboard The Def Leppard Cruise. Hang with the guys and enjoy this special Def Leppard Brew in this optional Beer Tasting Event designed especially for the craft beer lovers aboard Hysteria on the High Seas. Expect a surprise or two during this unique event that you won’t want to miss! This event will have a nominal charge. Details regarding pricing and ticketing will be announced in the weeks to come…standby. 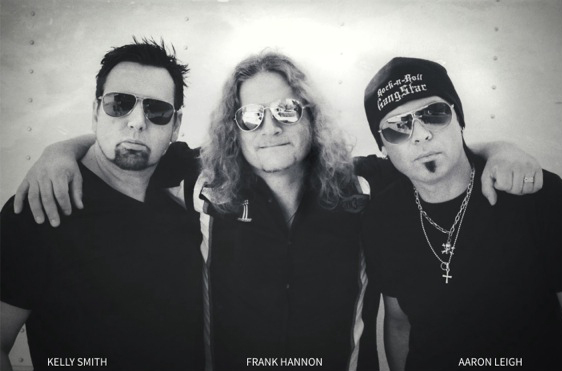 The Def Leppard Cruise is thrilled to announce the addition of The Frank Hannon Band, led by long-time Tesla guitarist, Frank Hannon. As a member of Tesla, Frank is currently on tour with Def Leppard. In addition, Frank is a veteran cruiser, playing with Tesla aboard the Monsters of Rock Cruise and he knows how to party with the fans. Get ready for a real treat! Let’s keep the excitement going! Mainstays on the Monsters of Rock Cruises, our next band just released their highly anticipated and first new album in 19 years. Meet KIX– Steve Whiteman (lead vocal), Jimmy Chalfant (drums, vocals), Ronnie Younkins (guitars), Brian Forsythe (guitars) and Mark Schenker (bass). 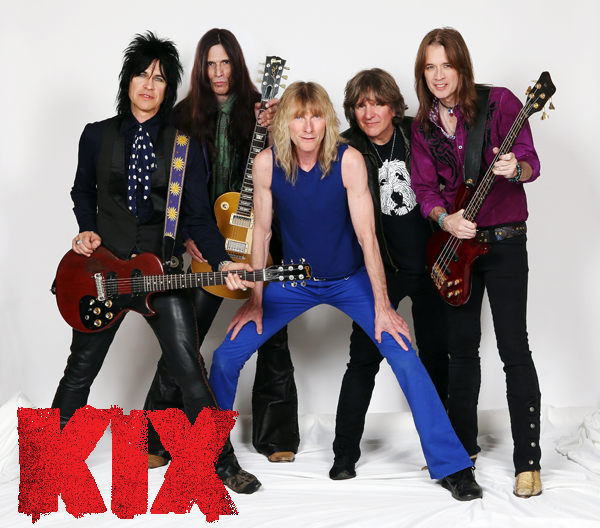 KIX was recently hailed “Best Performers” at both Rocklahoma and M3 Rock Festival, where they played alongside metal heavyweights Sammy Hagar, Alice Cooper, Queensrÿche and more. The Def Leppard Cruise welcomes KIX aboard for 4 days and nights of Hysteria on the High Seas! Your Def Leppard Cruise Team always works hard to accommodate our guests as well as their budgets by offering a variety of payment plans. Not only do we offer our STANDARD PAYMENT PROGRAM, but we also offer two other payment options designed to make it easier for you to sail with us. DON’T HESITATE, secure your spot today as we prepare for a Rock Journey you will never forget! Beginning today, August 22, 2016, The Def Leppard Cruise is offering a special no interest installment plan, the EZ Pay Plan, designed to assist fans who need an extended installment option in order to attend Hysteria On the High Seas. While supplies last, fans may secure their spot aboard the cruise for ONLY $499 USD per person down (double occupancy), with the remaining balance payable over twelve equal monthly installments beginning the month after the initial reservation is completed and automatically debited on the 20th day of each month (or next business day). Prices start as low as $499 per person (double occupancy) with our no interest, no qualifying installment plan, EZ Pay. For more details, CLICK HERE. For those who prefer to pay their cruise in full at the time of booking, a 5% discount off the base fare is available. Simply choose THE PAID IN FULL option during your booking process. You’ll save money and have the peace of mind and convenience of knowing that your cruise is squared away and fully paid. Quad (four to a cabin) pricing starts at ONLY $650 per person. Double (two to a cabin) pricing starts at $999 per person. For those who prefer to Pay in Full, a 5% discount off the base fare makes this price even more incredible! Simply choose the Paid in Full option during your booking process. 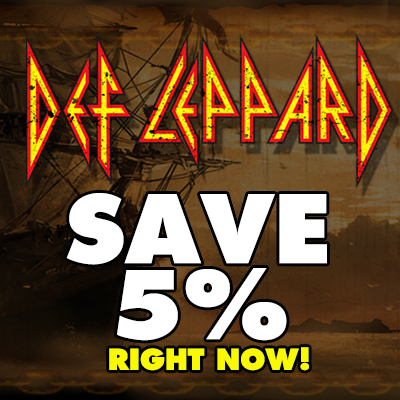 We look forward to meeting you as we sail through the Bahamas on The Def Leppard Cruise. If you are not booked yet…what are you waiting for? Don’t delay another minute or you will miss out on the most incredible Rock n’ Roll Event of 2016! Book today…it would be a shame to sail without you! Copyright © 2015 Def Leppard Cruise, All rights reserved.